Progs 477 to 479 – The Art of Kenny Who? Story: The Art of Kenny Who? Is it a highbrow statement on the meaning and commercialism of art? Is it a more personal true story? 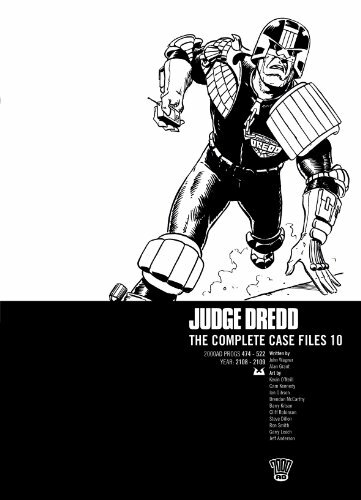 Who can say but this represents one of the less disposable stories of Judge Dredd with a likeable protagonist and a relatable situation. This entry was posted in Progs and tagged Alan Grant, Cam Kennedy, John Wagner by 365gn. Bookmark the permalink.